A referendum to give Irish citizens living abroad the right to vote in the Irish presidential election is to be held on the same day. Justice Minister Charlie Flanagan got Cabinet approval to hold the referendum next year and also briefed ministers on the proposed changes to the waiting time required for someone to get a divorce. 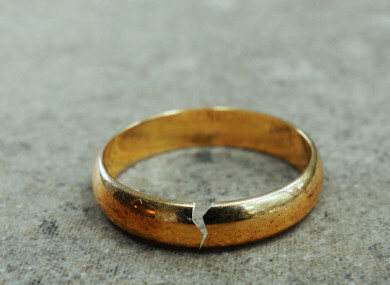 Last year, the government accepted Arts Minister Josepha Madigan’s proposal to reduce the waiting time for a divorce from four years to two last year. It was accepted then that to bring about such a change a Constitutional referendum would need to take place. Madigan’s Bill proposed to reduce the period of time to two years out of the previous three. It is understood Justice Minister Charlie Flanagan is to consult the opposition on whether to reduce the waiting time for a divorce or remove it from Constitution altogether. Legal advice sought and secured by officials in the Department of Justice supports that view. However, the minister is keen to ensure some consensus for the proposal, so is meeting with the opposition parties tomorrow morning to seek their formal feedback on which option they favour before the Dáil goes into recess for Christmas. A memo on the final proposal will be published in January. Speaking to TheJournal.ie last year about the referendum, Madigan said that as a practicing solicitor for the last 20 years, she has seen countless couples in the last decade unable to move out of the home they share together due to having no money. “We used to call them from soul-mates to cell-mates, because they were effectively stuck together. Now it seems the divorce rate has actually gone up because people have a little more spending money, maybe one of the spouses can afford to rent,” she said. It is also understood the government intends to hold another referendum on the same day that would propose to give Irish citizens living abroad the right to vote in the Irish presidential election. Email “Divorce waiting time referendum to be held in May 2019”. Feedback on “Divorce waiting time referendum to be held in May 2019”.